Each student got to choose a colorful electric toothbrush to take home, and the students got stickers to decorate and personalize their toothbrushes. The dentist also identified any issues he saw with the students’ teeth, and made recommendations to parents for follow-up dental visits. In addition to learning educational and social skills, Head Start students eat balanced, nutritious meals daily and get medical and dental check-ups in an effort to support their whole well-being. 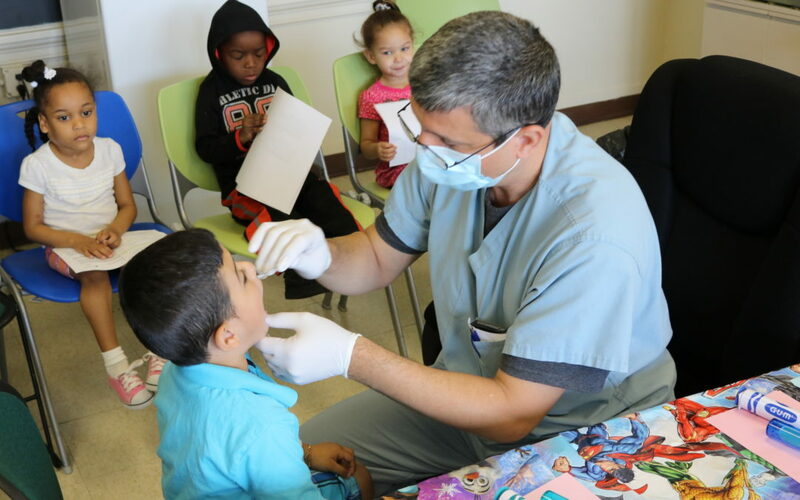 Case Western Reserve School of Dental Medicine is a huge reason these important check-ups are possible as representatives from the school visit each Head Start center twice a year. Thanks to our friends at Case Western Reserve for making our smiles bigger and brighter!